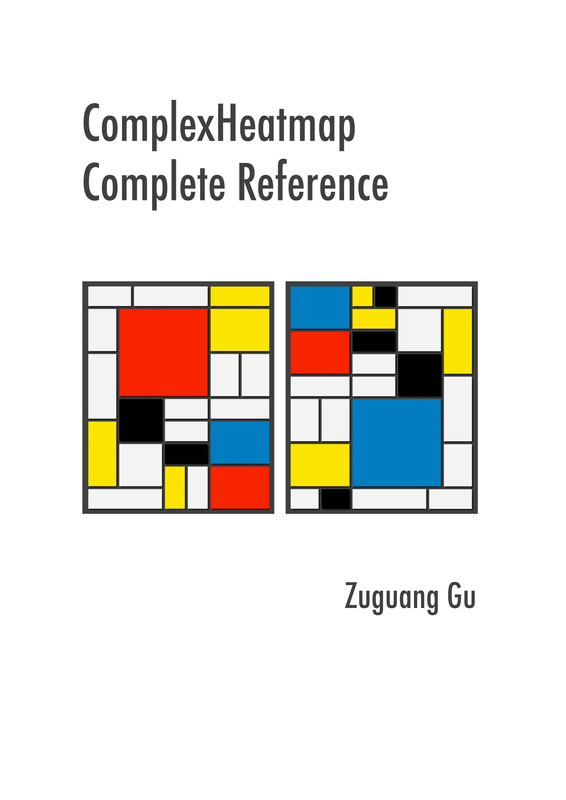 This is the documentation of the ComplexHeatmap package. Examples in the book are generated under version 1.99.7. The development branch on Bioconductor is basically synchronized to Github repository. The ComplexHeatmap package is inspired from the pheatmap package. You can find many arguments in ComplexHeatmap have the same names as in pheatmap. Also you can find this old package that I tried to develop by modifying pheatmap. Please note, this documentation is not completely compatible with older versions (< 1.99.0, before Oct, 2018), but the major functionality keeps the same.